Partnering with an experienced graphic design team ensures that your organizational image achieves maximum positive impact on your target audiences. You need a partner that understands how to create or revitalize an organization’s visual identity standards and extend these frameworks into creative, project-specific approaches. Our Partner is a team of creative design specialists. Our company has been in business for over ten years. 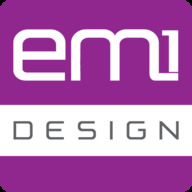 Our expertise spans more than just in creating compelling designs; we also specialize in end-to-end project management to ensure that the designs we create achieve your desired outcomes. We work with you to evolve your ideas from concept to finished project. Print design, including: brochures and sell sheets, corporate presentations, annual reports, advertisements, business cards, etc.